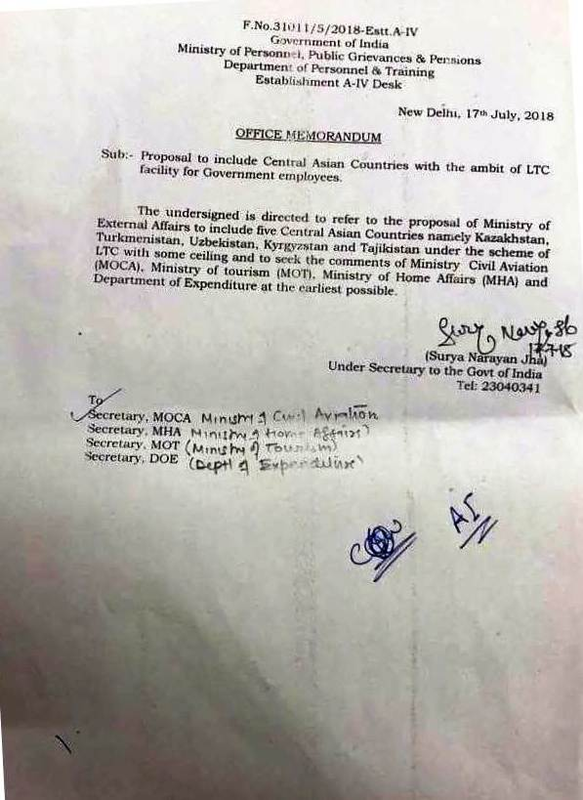 The undersigned is directed to refer to the proposal of Ministry of External Affairs to include five Central Asian Countries namely Kazakhstan. Turkmenistan, Uzbekistan. Kyrgyzstan and Tajikistan under the scheme of LTC with some ceiling and to seek the comments of Ministry Civil Aviation (MOCA). Ministry of tourism (MOT). Ministry of Home Affairs (MHA) and Department of Expenditure at the earliest possible.